SO cool! Is the Rose the same color as my family refers to as “Pomona Pink”?? So cool and answers my question about my former 1959 home in Riverside CA. 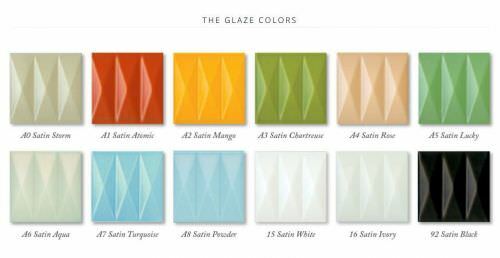 I had the green star tile — but in a creamy white — in my shower in random placement with a matching 4by4s. Now I know where it came from! These are quite pretty. I ordered a sample, but sadly there are no plain field tiles to match the sculptured ones. 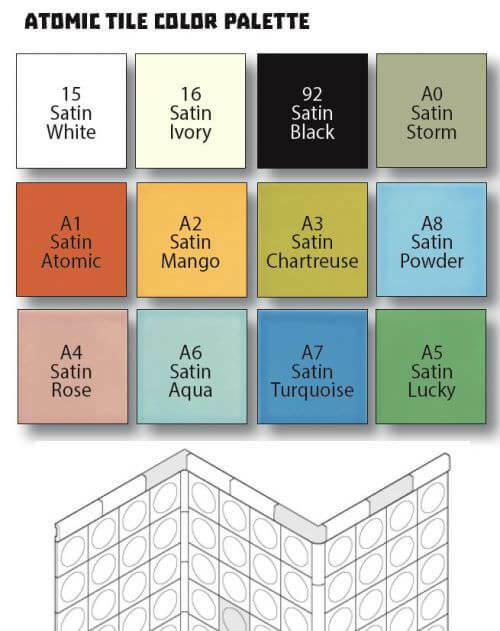 The color names were missing the word “satin” so I strongly recommend confirming the match with a sample. Ooh, I really love these! I love the simple patterns and the dimensionality of them… adds so much intriguing style. I especially love the circles and the middle triangles design. 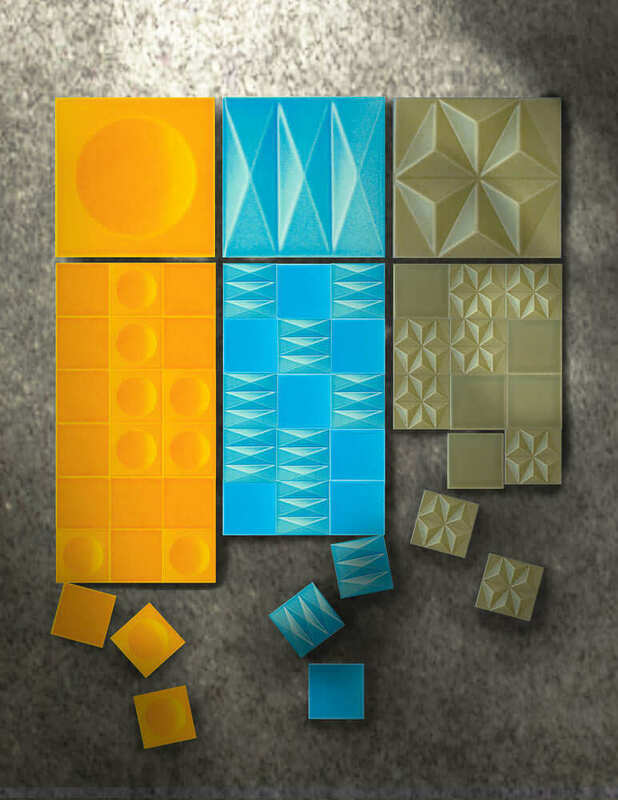 What an awesome kitchen backsplash these would make! I would love to see examples of how people have used these. 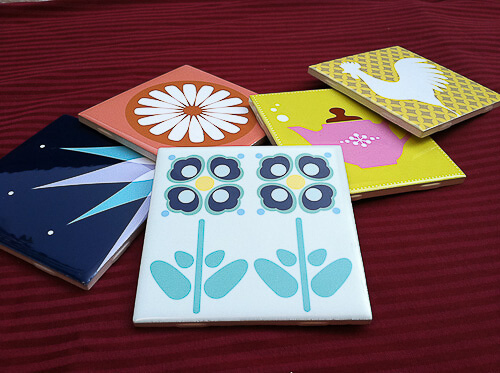 Do you know if the field tiles would be suitable for shower floor applications? I’m assuming since all the pictures show them only on walls and surrounds that they are not. 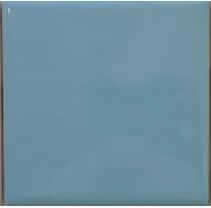 I need to replace my powder blue stall shower floor and want to match the original surround, but have not found anything suitable. These look like they may be a match. Contact the company re specifications, Amanda… you are asking the right question though!